Theology matters. Place for Truth has no interest in smoothing over the rough edges of disagreements within the Reformed confessional tradition. But we also know that debates can often descend into name-calling and straw man arguments. Over the next two days, we are posting two brief summaries – one by a pastor of paedobaptist persuasion, one by a Baptist pastor – on a subject that matters. We hope you’ll read both. They’ve each read the other’s article, and they’ve both presented their own arguments clearly and fairly. 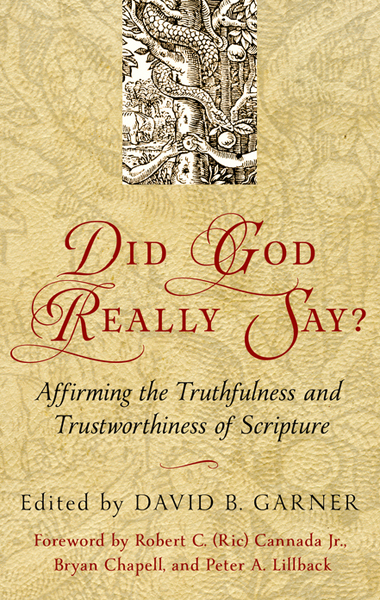 Both men argue – as you’ll see – from a theological perspective that reflects the framework of the Reformed confessions. Neither backs down. But the arguments they employ, and the spirit with which they employ them, are worthy of our time and attention. 1. It is rather inventive to say that children of believing parents—who have always been a part of (and given the sign of) God’s covenant community—are suddenly kicked out when Jesus arrives. If this were the case, we would expect to find some very clear statements in the NT showing that children of believing parents are no longer part of the covenant community. However, we find just the opposite. The NT affirms the ongoing and unique privilege and responsibility of those children. God’s covenant with Abraham—now fulfilled in Christ (Gal. 3)—included the children of Abraham “throughout their generations as an everlasting covenant” (Gen. 17:7). We see clear indications of departure and difference with other OT practices (e.g., dietary laws, ceremonial laws, etc. ), but not with regards to children. In the unfolding plan of redemptive history, Jesus didn’t suddenly exclude children of believing parents when he came; rather he extended the new covenant as a fulfilling of the Abrahamic covenant. 2. There is a clear OT precedent for the unilateral, promissory covenant made with Abraham (Gen. 15) that points to NT believers as the “sons of Abraham” (Gal. 3:7). It was to Abraham and his children that the sign of the covenant was established. This shows the implications of continuity in the character of the covenant made with Abraham as it pointed to NT believers. Indeed, Peter states that NT believers “are the sons of the prophets and of the covenant God made with your fathers, saying to Abraham…” (Acts 3:25-26, emphasis mine). 3. The apostle Paul argues that the “sign” and “seal” of circumcision (Rom. 4:11) pointed to the reality “that the promise may rest on grace and be guaranteed to all his offspring” (v. 16). Interestingly, if circumcision had simply been a sign of Abraham’s faith (i.e., that circumcision certified his faith), then what are we to make of the circumcisions of Ishmael, Esau, or Saul? They were circumcised before they had faith—as were all infants of the believing community! Rather than being a sign of my faith or my profession of faith, baptism is a sign of God’s continuing promise for you and for your children after you (Acts 2:39); namely, that all who come to Jesus by faith receive him and his mediatorial work. Baptism, then, serves to authenticate God’s continuing promise, like a seal or signet ring, validating the contents of that promise. 4. Paul equates the symbolic reality of the OT bloody sign of circumcision with the NT universal cleaning sign of water baptism (Col. 2:11-12). This passage in Colossians 2 is key to understanding this change: “In [Christ] also you were circumcised with a circumcision made without hands, by putting off the body of the flesh, by the circumcision of Christ, having been buried with him in baptism.” The baptism in v. 12 is spiritual just like the circumcision in vs. 11—the physical ordinance pointing to the spiritual significance. Through the shed blood of Christ, the bloody sign of circumcision has been replaced by water baptism. The fact that a person can be circumcised outwardly, but not inwardly (Rom. 2:28-29; 9:11-13) is a reality that we also find with those who are baptized. In fact, even those who affirm “believer’s-only baptism” must admit that there are those who have been baptized outwardly, but not inwardly. 5. The “new covenant” promised in Jeremiah 31:31 foretold of a covenant that would “not” be like the conditional, temporary covenant made with Moses for the nation of Israel (v. 32). Rather, in line with the unilateral, promissory covenants (e.g. Noah, Abraham, David), the new covenant affirmed and maintained this promissory, unilateral character, fulfilled in Christ (Gal. 3:16). Thus, God can say in his promise of a new covenant—in line with his covenant with Abraham—“I will be their God, and they shall be my people” (v. 33; cf. Gen. 17:7-8). In fact, in the very next chapter in Jeremiah, God reiterates the new covenant, “And they shall be my people, and I will be their God…for their own good and the good of their children after them. I will make with them an everlasting covenant” (Jer. 32:38-40, emphasis mine). The new covenant made the old covenant dispensation with national Israel—which was established with Israel at Sinai with all of its ceremonial and sacrificial laws—obsolete (Heb. 8:13). But this did not nullify the promise made to Abraham. 6. Children of believers—throughout Scripture—are regarded differently from the children of unbelieving adults. With reference to the covenant of grace, Peter preaches, “The promise is [not was] for you and for your children” (Acts 2:39), a statement made in the context of the Jews and in line with the OT covenant promises. As the promise in the OT extended to covenant children, Peter’s sermon affirms the same reality. Moreover, children of a believing parent (or parents) are set apart and regarded as “holy” (1 Cor. 7:14). Please don’t miss this. Why are children of believing parents regarded as holy? Because God regards children of believers differently from children of unbelievers. How? They are marked and set apart from the world by their familial relationship. They also have the added benefit of being raised in a Christian home where they regularly hear God’s Word, where they are engaged in family worship, and in public worship of the local church. Moreover, as children of believers, the parent(s) have covenantal obligations to bring up their children “in the discipline and instruction of the Lord” (Eph. 6:4; cf. 1 Tim. 3:4). In other words, it communicates the idea that this is a Christian home. This is a Christian family. We have obligations as Christian parents and our children—of all ages—have obligations to “obey their parents in the Lord,” honoring their father and mother (Eph. 6:1-3). Thus, while we are saved individually through faith in Christ, we must be careful not to “read into” the text (eisogesis) our own culture’s highly individualized, personalized ideas. 7. There are no prohibitions against paedobaptism in the NT. Similarly, there are no affirmations that only adults are to be baptized. On the contrary, the movement of salvation history and biblical revelation asserts the reality that professing believers and their children are part of the covenant community. If God were to suddenly stop this pattern, we would expect to see strong prohibitions, but we don’t. We see just the reverse. 8. In every instance that a household (oikos/oikia in Greek) is present at someone’s conversion in the NT (five times! ), the entire household is also baptized (Acts 10:47-48; 16:15, 30-31; 18:8; 1 Cor. 1:16-18). While this does not necessarily mean that children were part of the household, such a term as used in these contexts strongly favors the inclusion of children. As in the OT, the “household” remains the basis of covenantal administration in the NT. Interestingly, when the Philippian jailer is baptized, “he was baptized at once, he and all his family” (Acts 16:33). 9. In Paul’s instructions to the churches at Ephesus and at Colossae, he specifically addresses children in the church (Eph. 6:1-3; Col. 3:20). Why would he do this if children were not considered a true part of the visible church? And, while we don’t know if they believed or not, he doesn’t require saving faith of these children before giving them instructions within the church of God. 10. Those who deny paedobaptists the right to draw legitimate inferences from Scripture that lead to infant baptism do the same by drawing upon implicit inferences that lead them to the view that children of believers are not members of the covenant. Indeed, there is no verse in the Bible that says that children of believers are not members of the covenant community. To reject paedobaptism because there is no explicit Bible verse that commends it fails to recognize the importance of the scope of the whole counsel of God’s Word and the good and necessary consequence. 11. The NT gives a number of warnings to those within the covenant community of the visible church. The NT writers urge the “brothers” not to fall away (Matt. 13:21; Mark 4:17; Luke 8:13; Heb. 3:12; 6:6), and to remain until the end (Mark 13:13; James 5:11), for the Lord will judge his people, those who may trample the Son of God under foot (Heb. 10:28-31). These warnings indicate that there existed tares among the wheat (Matt. 13:29-30), goats among the sheep (Matt. 25:32), unsaved Israel from the true Israel (Rom. 9:6), and unbelievers among believers within the visible covenant community of the church (1 John 2:19). Obviously, by God’s preserving grace, the elect remain until the end and will not fall away (John 10:28; Phil. 1:6). But how can a member of the covenant community (cf. “covenant” in Heb. 10:29) be liable to apostasy and judgment if only those who are regenerated are part of the visible covenant community? 12. Noah’s flood and the Exodus of God’s people through the Red Sea are both used in the NT (1 Pet. 3:20-21 and 1 Cor. 10:1-2, respectively) as types and pictures of baptism, representing people of all ages. Neither passage excludes infants. 13. Our Reformed heritage has long understood that while all baptized members of the visible church have externally covenanted with God, only the elect of God are internally, truly, and savingly related to the new covenant. This is why the Westminster Larger Catechism states, “Infants descending from parents, either both or but one of them, professing faith in Christ, and obedience to Him, are, in that respect, within the covenant, and are to be baptized” (Q.166, emphasis mine). Thus, while all who are members of the visible church are externally related to the covenant of God—professing believers and their children—only those who have placed their faith in Christ receive the salvific benefits of the new covenant, where Christ becomes their sin, the curse, and the penalty of their covenant breaking and, at the same time, becomes their great Covenant Keeper. 14. If only believers are in the covenant community of the visible church—and not professing believers and their children—then it is quite hypocritical to ask your unbelieving children to pray or to have them say that God is “their” God. As you wouldn’t have your unbelieving neighbor pray for you or speak affirmations of saving relationship with God, so you wouldn’t do the same with your own children. But as it is, we have our children pray and sing songs that affirm that God as their God and that they are his people. Though water baptism doesn’t save them (or anybody), they are set apart from the world as children of professing believers and have become part of the covenant community. 15. 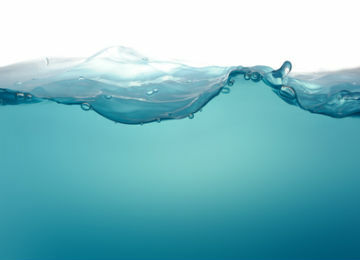 When honestly considered, the balance of biblical revelation strongly favors the sign of the covenant—water baptism—to be administered to both professing believers and to their children. 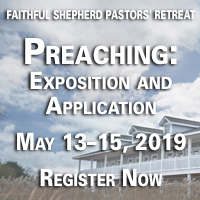 As a passive ordinance, it points to the sovereign grace of God who keeps covenant; that he is the One who saves and who has pledged to be a God to his people and to their children. And we pray that those who have been sprinkled by the waters of baptism will be sprinkled by the blood of Jesus through saving faith, to which the sign points (Heb. 12:24). Rather than being a sign of what I’ve done and of my faith, baptism is a sign of what God has done in Christ and the seal of his promise to be a God to you and to your children after you. By God’s saving grace, may our children experience the baptism of the heart to which the baptism of water points, for God’s glory and our joy. 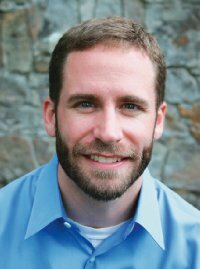 Brian Cosby (Ph.D. Australian College of Theology) is pastor of Wayside Presbyterian Church (PCA) in Signal Mountain, TN. He is Visiting Professor of Church History at Reformed Theological Seminary, Atlanta, and holds degrees from Samford University (B.A. ), Beeson Divinity School (M.Div. ), The North American Reformed Seminary (D.Min. ), and the Australian College of Theology (Ph.D.). He is the author of several books and regularly contributes to various journals and blogs.